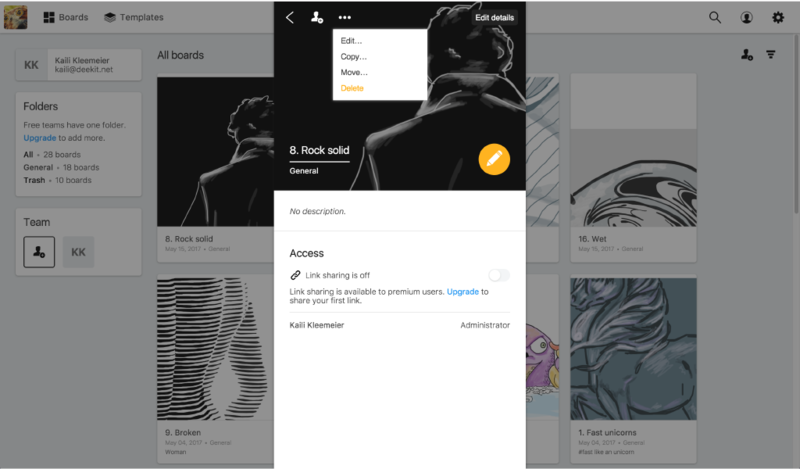 You can delete and recover deleted boards from your board grid. Click on the menu button and choose delete. Confirm that you really want to delete the board and you are done! 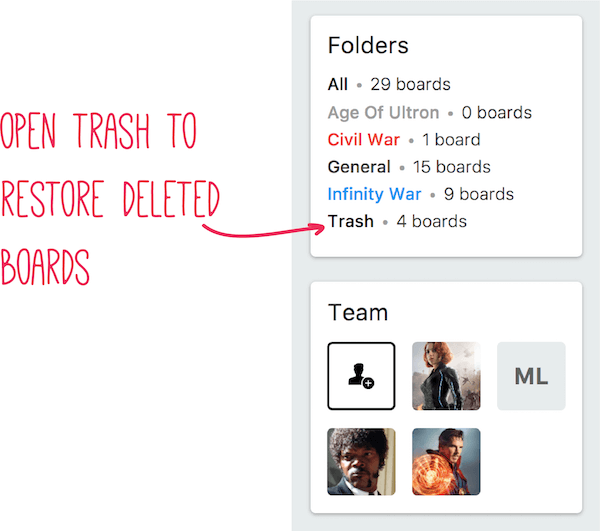 All boards you delete will move to trash and will stay there for 30 days after which they are permanently deleted. Keep in mind: Only Administrators and Full members can delete boards. When you have deleted boards, Trash is at the bottom of your board grid. You will find boards deleted within last 30 days in the trash. After 30 days, boards are deleted forever and no longer can be recovered. Click on the board you wish to recover. Confirm by clicking Restore board. Board will then be recovered with original settings.